Mr. Ware earned a J.D. in 1979 from the University of Georgia School of Law, where he excelled in national Moot Court competition, a precursor to his work as a trial lawyer. He earned a B.A. in English 1976 from The University of West Georgia, where he attended on an academic and athletic scholarship. He was elected to the Blue Key National Honor society and Phi Eta Sigma (the small school counterpart of Phi Beta Kappa) was an honor student, a nationally ranked NCAA Division II track and field athlete –he set the school record for the high jump- and was on the basketball team. Mr. Ware is admitted to practice in all state and federal courts, including the United States Supreme Court. During his multi-faceted, 36-year career, Mr. Ware has represented clients ranging from Fortune 500 companies and large governmental entities to high-profile professional athletes and other high net worth individuals in complex litigation matters and multimillion-dollar negotiations and transactions. 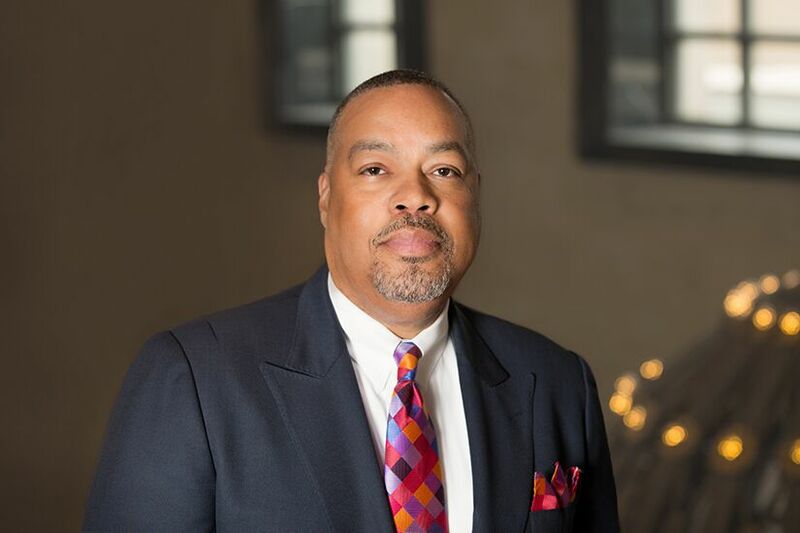 Mr. Ware has extensive executive management experience and has played an active and prominent role in numerous professional organizations, civic groups and on legal advisory panels. He also is an ordained minister. Prior to Hall Booth Smith, Mr. Ware chose to work in public service and served as the Fulton County Attorney for 7 years, serving Georgia’s largest county. In that role, Mr. Ware led a team of 25 staff attorneys and managed numerous outside counsel who provided legal advice to the Fulton County Board of Commissioners and 40 departments and agencies on a range of complex matters including labor and employment actions, catastrophic personal injury suits, wrongful death claims, government contract disputes, taxation controversies, zoning law interpretations, environmental issues, construction litigation, constitutional challenges, First Amendment questions and Section 1983 cases. Mr. Ware’s most noteworthy achievements included defeating a 2014 suit of first impression brought by a group of state legislators to prevent the County from raising property taxes, persuading a Federal District Court to end nine years of federal oversight of the County jail and representing the County in the protracted series of cases arising from the 2005 Atlanta courthouse shootings that killed four people. But Mr. Ware’s greatest asset is his ability to try cases of all complexities. Mr. Ware’s trial skills have earned him numerous accolades. Mr. Ware’s litigation work in private practice for corporate clients, insurers, municipalities and counties has covered matters ranging from alleged employment discrimination under Title VII and the ADA to general business disputes and tort defense, as well as issues arising under Section 1983. A former magistrate court judge who sat by designation in Superior and State Court, Mr. Ware is particularly adept at helping clients resolve complex disputes and provides clients with advice to avoid protracted litigation. Widely known for his pioneering work as a sports attorney, Mr. Ware has advised and represented professional athletes in negotiations that resulted in record-setting salaries and lucrative rights agreements for his clients. Notably, Mr. Ware became the first African American to represent a Heisman Trophy winner when Oklahoma State running back and eventual NFL Hall of Famer Barry Sanders hired him after turning professional. Mr. Ware also prepared the groundbreaking petition that forced the NFL to admit college juniors into the draft. He has won Agent of the Year honors and has been featured in and interviewed by numerous national and local print and broadcast media outlets. Additionally, Mr. Ware has provided legal advice and counsel to entertainers and those involved in intellectual property endeavors, including serving as the legal advisor on the award winning movie, Sunday Morning Rapture. Mr. Ware’s executive management experience includes serving as the Interim County Manager for Fulton County where he successfully balanced a $1Billion budget and saved the county $24million.